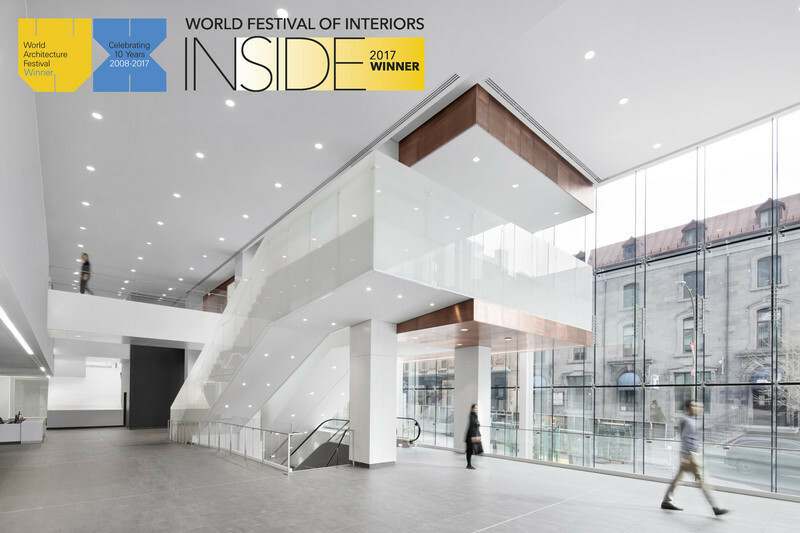 The design of the new CHUM was honored with a World Festival of Interiors INSIDE Award, for excellence in architectural interiors as part of the 2017 World Architecture Festival (WAF). 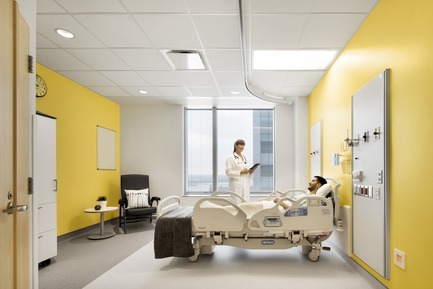 Named the best interior healthcare space in the world for 2017, the CHUM continues to earn numerous international design accolades. 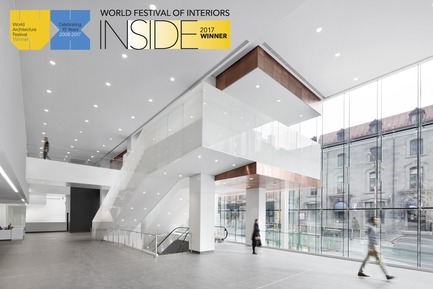 CannonDesign + NEUF architect(e)s are proud to announce that their recently opened new Centre hospitalier de l’Université de Montréal (CHUM) has won the 2017 INSIDE World Festival of Interiors Award in the Health and Education category, essentially affirming the project as the best interior healthcare space in the world from 2017. 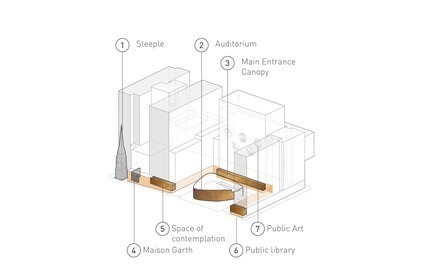 In integrating existing facilities and adjacent heritage buildings, the judges recognized the new CHUM as an "urban experience of lively and accessible nature", commenting that "the architects played a key role in determining the final brief and came up with a smart strategy for phasing. 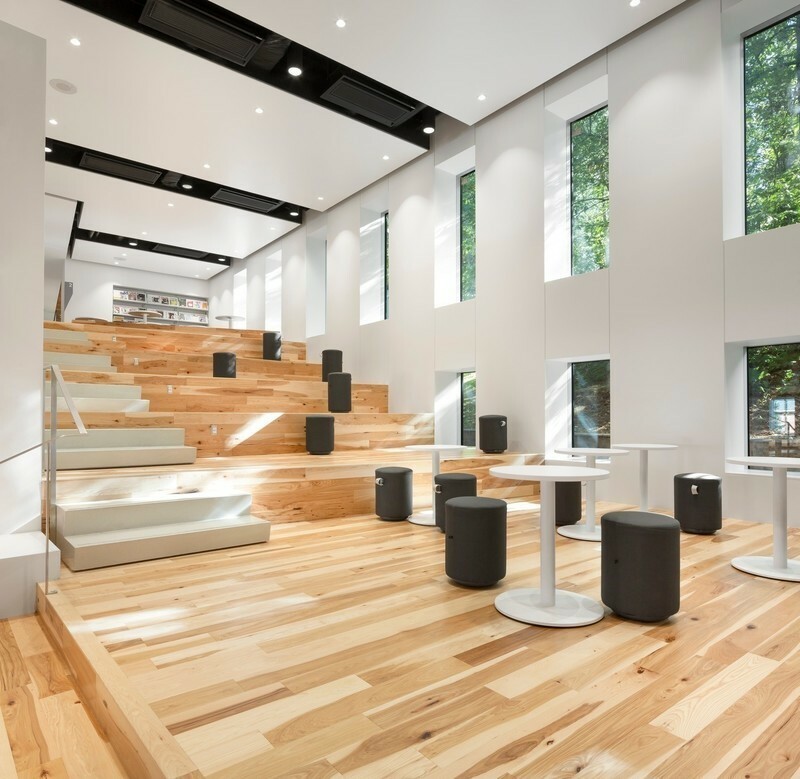 Main circulation spaces and public areas are treated as places for encounter providing easy orientation. 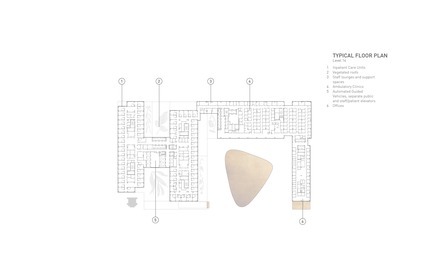 The transition into the treatment areas is well supported by the architectural concept." 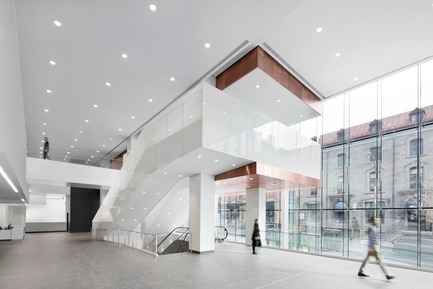 The judges said that the hospital’s precise choreography of views out to the city was "remarkable". 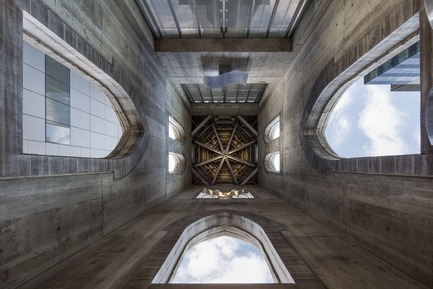 The INSIDE World Festival of Interiors is part of the World Architecture Festival (WAF), an event that brings together the best projects of the year from all over the globe in a highly competitive setting. This year marked the prestigious festival’s 10th anniversary and brought together dynamic projects and designers to share their breakthrough work. The CHUM officially received its award on Wednesday, November 15 in Berlin. 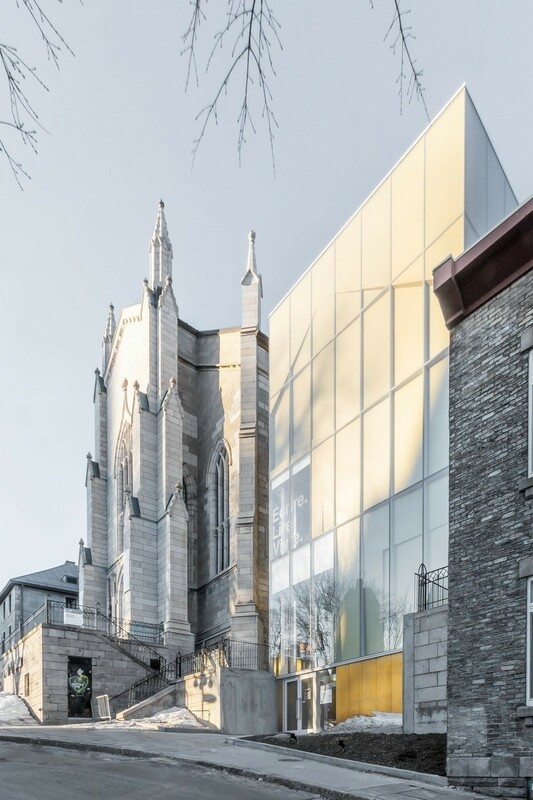 A jury selected the project following a presentation by Gustavo Lima, Principal at CannonDesign, and Azad Chichmanian, Partner at NEUF architect(e)s.
The CHUM is the first Quebec hospital to earn a WAF award and solidifies CannonDesign + NEUF architect(e)s’ vision and efforts to rejuvenate and strengthen healthcare in Quebec. 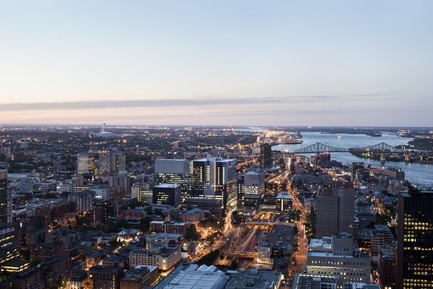 It further allows the project to be celebrated by Montrealers and the global design community. 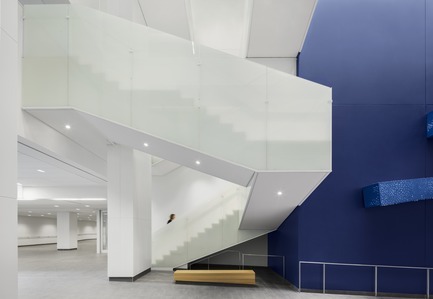 Started in 2009, the new CHUM is the largest healthcare construction project in North America, and the largest public-private partnership in a healthcare project in Canada to date. 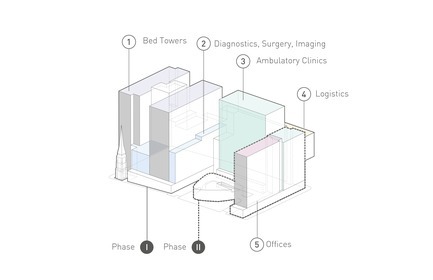 The design team rethought the initial planning and architecture of the project in order to accelerate the construction of the programme’s clinics and to offer a fully operational university hospital within the first phase. Today, the public also has access to the entirety of the institution’s services including, all of the patient rooms, diagnostic and therapeutic services, 400 examination rooms and almost 40 operation rooms, as well as the oncology care unit. 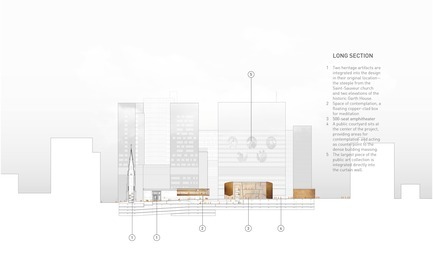 In addressing the totality of that task, the design team approached the project from all scales, including the largescale urban element, the local neighbourhood context and the fine grain of a human component, central to its vocation as a place of healing. 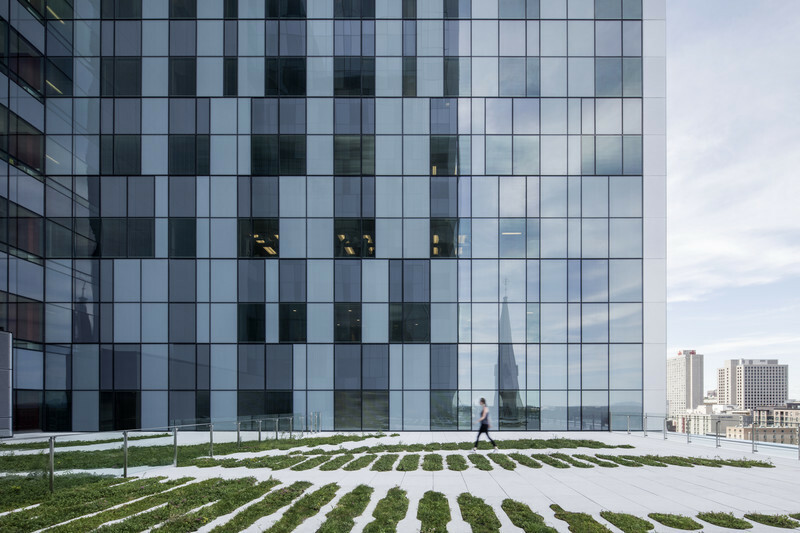 The 772 private rooms each include ample space for family involvement, and expansive windows offering some of the best views of the city and of publicly accessible rooftop gardens, designed by NIPPaysage. 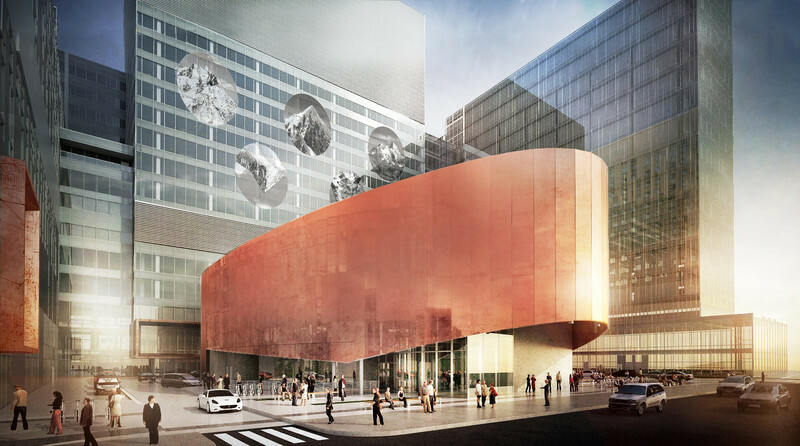 Additionally, the CHUM houses the highest concentration of public art in Montreal since Expo 67. 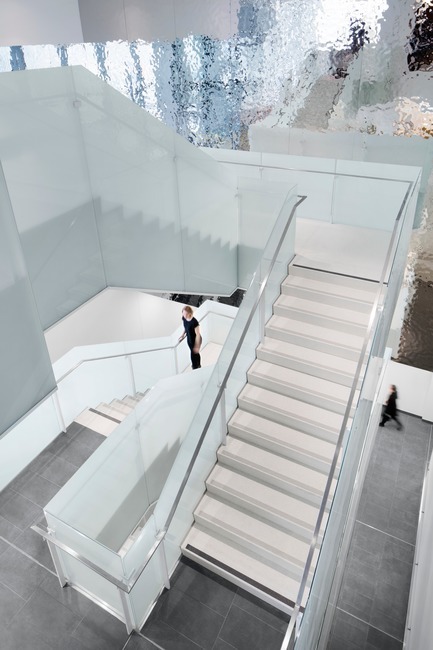 The 13 large-scale works (10 in Phase 1), are integrated in the design, blurring the line between art and architecture to offer a more human experience. 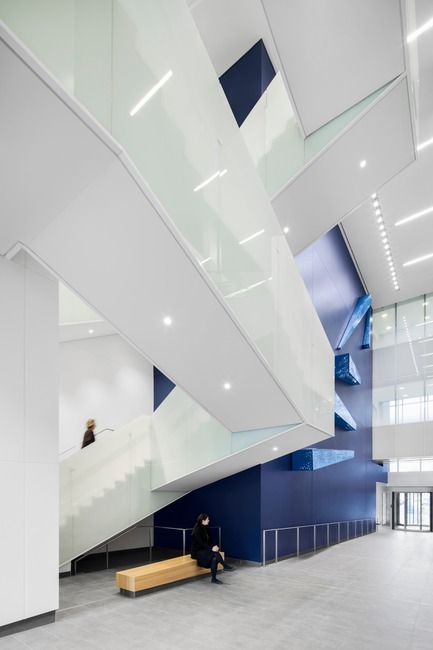 “Walking through the completed spaces today, there is a spatial quality that is in line with the ambitions of this great institution,” the architects explained, on the September 17th inauguration of the new CHUM. 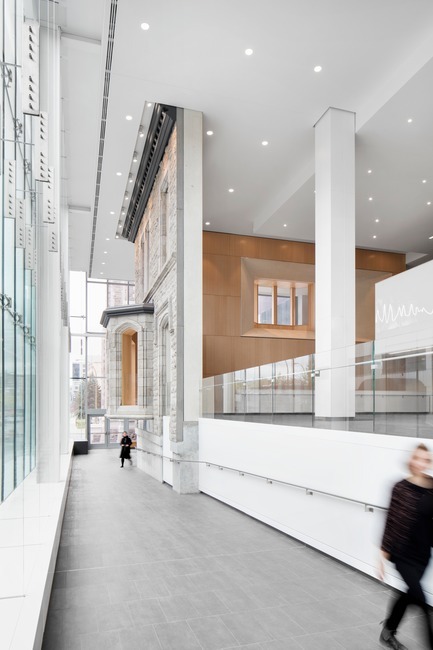 “As Montrealers finally begin to discover the architectural moments that have been created, from the near museum-like public spaces to the state-of-the-art clinical facilities, we believe the building will succeed in completely redefining Montrealers’ image of what a hospital feels like.” The WAF/INSIDE jury also recognised and commended these qualities. 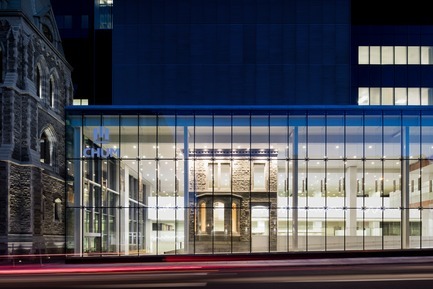 The CHUM has already received many international accolades, as much for its technical successes, as for its design. 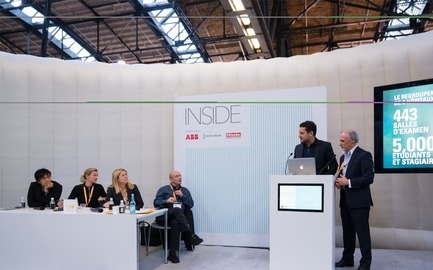 In 2016, the team was honoured with an A+ Award from Architizer in New York, as well as the A’ Design Award in Italy and showcased during the European Healthcare Design Forum in London. 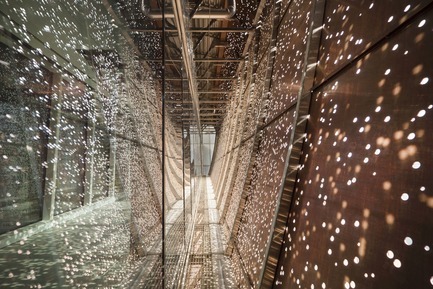 Among others, in June 2017 the team won top prize in the Lighting Installations and People’s Choice categories for the CHUM Passerelle, presented at the Azure AZ Awards before a distinguished gathering of members of international architecture and design communities around the globe. 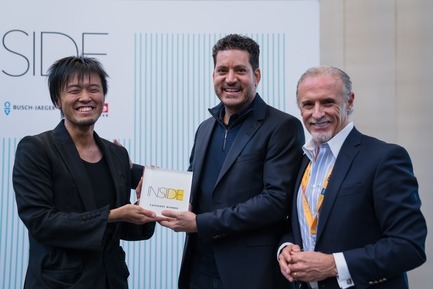 In July, CannonDesign + NEUF architect(e)s received the Future Healthy Built Environment Award from the International Academy for Design & Health based in Stockholm. In October, the CHUM was honoured with the Archmarathon Awards 2017 in the Caring category. 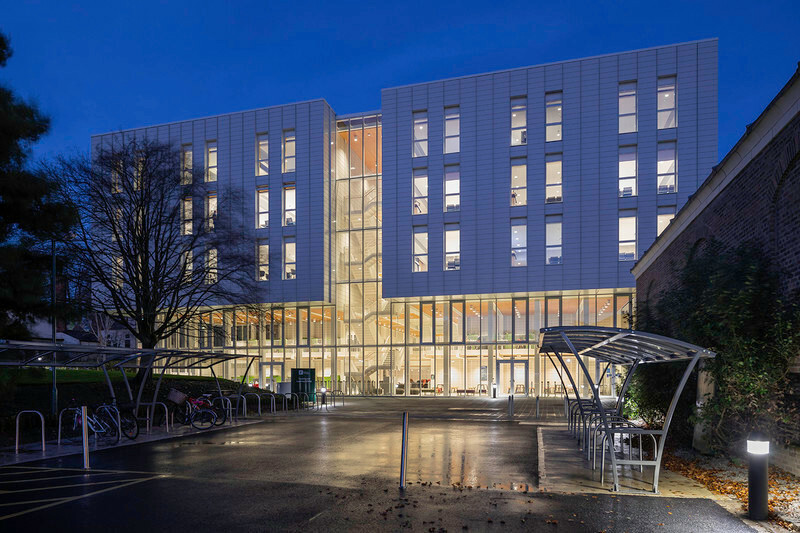 This month, the CHUM received two top awards at the American Architecture Prize (AAP) in New York, where it has also been named as finalist in three categories by the prestigious magazine Interior Design. 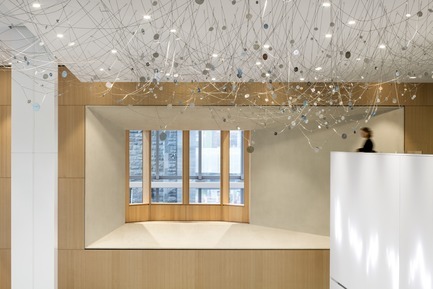 Finally, the CHUM received the Best of Canada award by Canadian Interiors magazine. 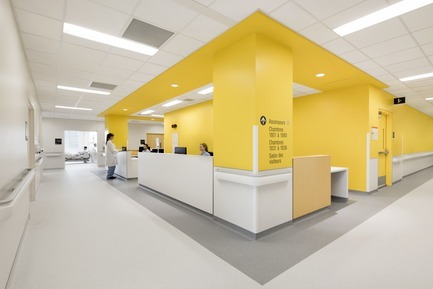 In addition to the WAF/INSIDE Award, the project has already received more than twenty international prizes and has been featured in more than 90 design publications around the globe, setting a new precedent for hospital design in Canada. 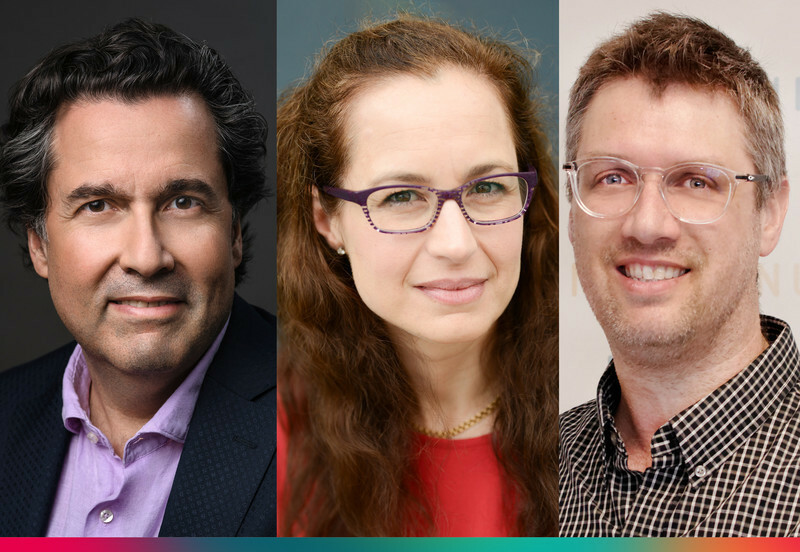 CannonDesign is an integrated design firm that unites a dynamic team of architects, engineers, and industry specialists driven by a singular goal – to help solve clients’ and society’s greatest challenges. 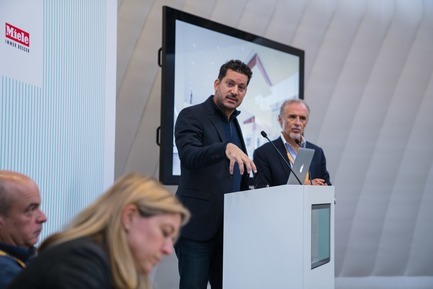 The firm’s defining strength is its ability to harness creative intelligence, from team members and clients, to identify and connect the best ideas across industries and geographies that advance successful design solutions. 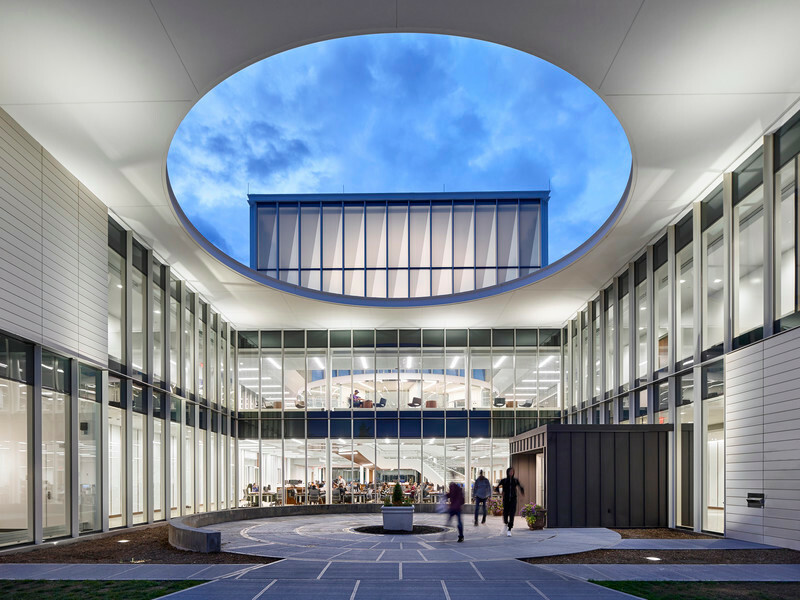 In 2017, Fast Company named CannonDesign one of the 10 most innovative architecture firms in the world. 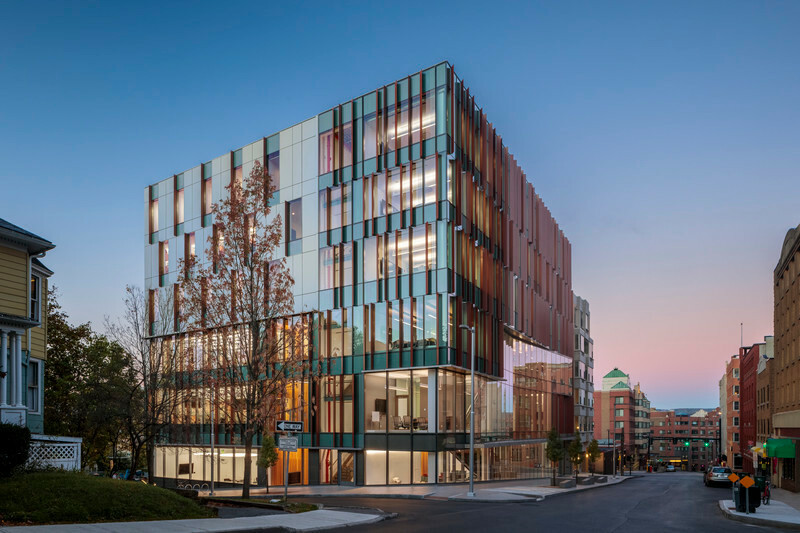 NEUF architect(e)s is a team of creative professionals that has been contributing to Montreal’s urban landscape since 1971. 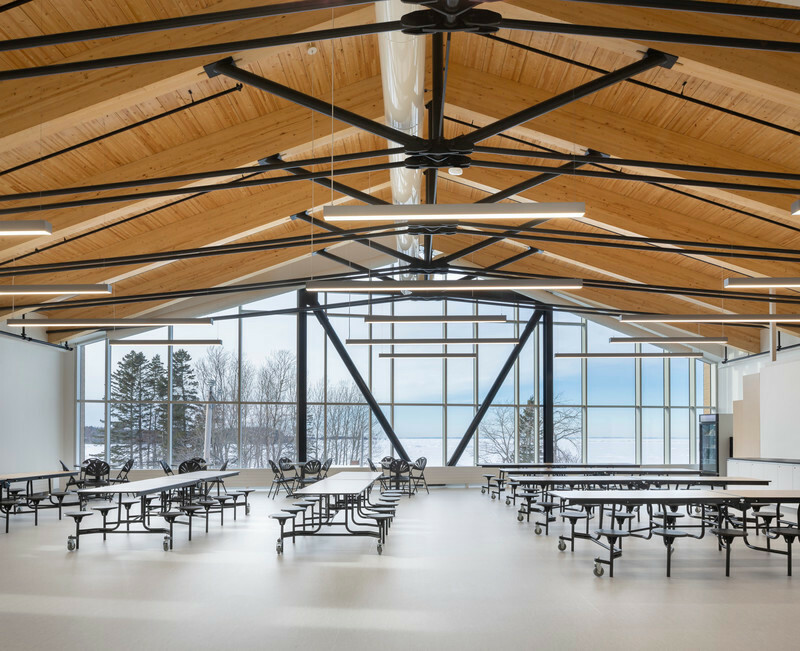 With offices in Montreal, Ottawa and Toronto, NEUF architect(e)s has grown into one of the most diversified architecture and design practices in Canada. Active in all sectors, including strategic planning, urban design, resorts and hotels, residential, commercial, industrial and office buildings, the firm is specialized in complex, fast-track design projects. 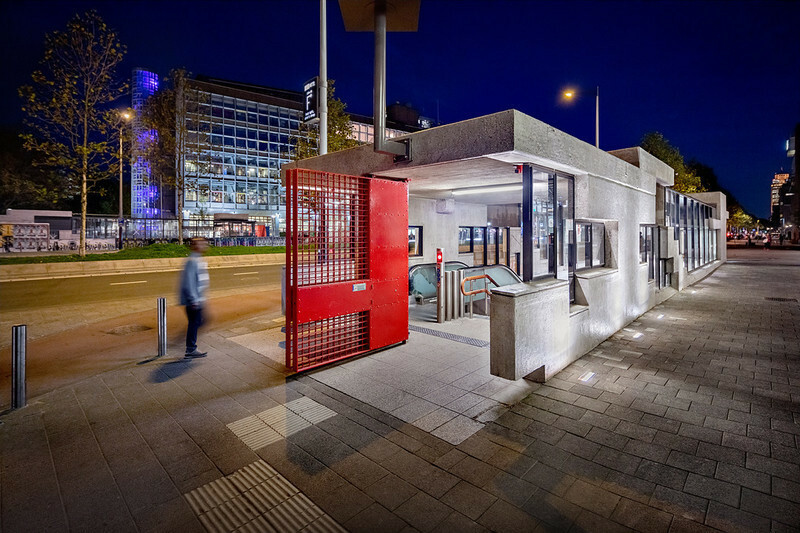 Recipient of multiple design awards, NEUF architect(e)s is currently involved in projects across the Americas, Europe and Asia.